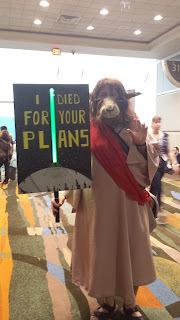 There are so many amazing costumes at Celebration, and I have hardly taken any photos of them. Here are my favorites that I ran into though. 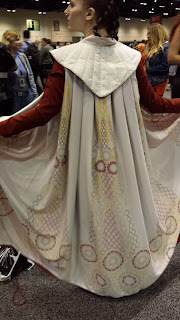 Earlier this year a very talented member of the Rebel Legion put up the design of the embroidery on Leia's Bespin Gown. This is a costumer that I ran into that had bought the fabric so I could finally see what it was like for real. I also stood beside the designer at the RL photoshoot and got the chance to thank her for making this gown so much more accessible to costumers. 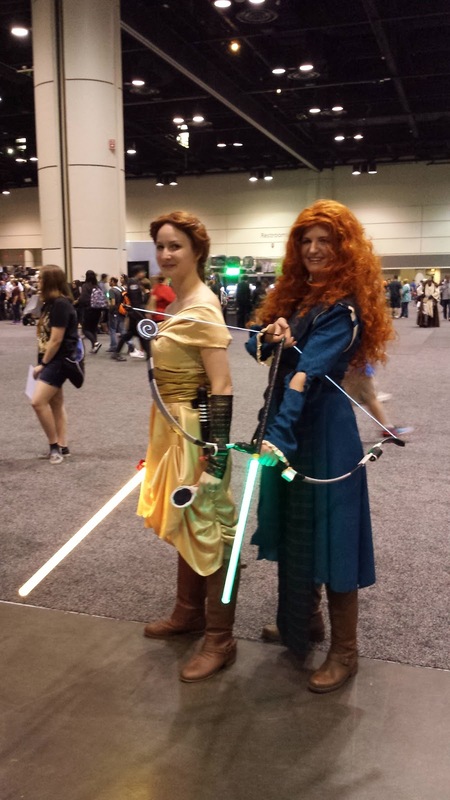 Ever since Disney bought Star Wars there has been quite a lot of Disney/Star Wars mash up costumes done. This was my favorite pair and especially Merida's lightbow was amazing up close. There are also the fun/humorous costumes, like this Bothan Walking around the floor. 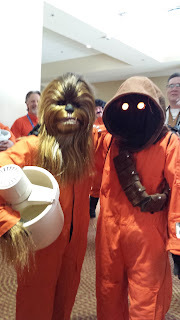 For the Running of the Hoods, the humans were also joined by a Jawa and a wookiee. That must have been so hot to run around in. One of the best costumes was this Jawa with BB-8 though. 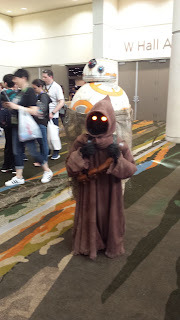 It's actually an adult, with the head in the BB-8 dome, but it looked like the Jawa was carrying him around. Both the Jawa costume and BB-8 was really well done and together it was perfect. My favorite costume of the weekend was this really handsome Bail Organa. 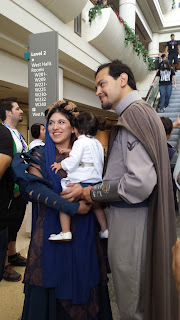 Yes, I am a total Bail Organa fangirl, and just seeing this costume made me happy, but then I almost died when he had the rest of his family with him. 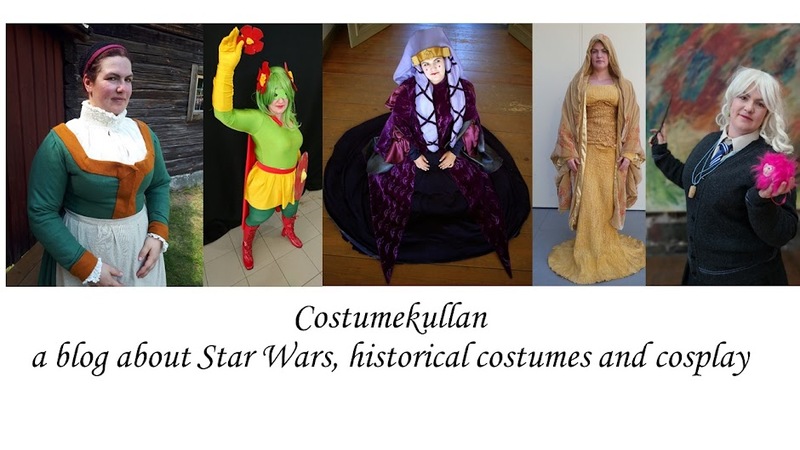 The Breha costume was really well done, and the little girl's real name is actually Leia. Awwwwwww. It really was a perfect family cosplay.